The basic requirement for eligibility to be designated a Distinguished QOL Researcher shall be evidence of a lifetime and substantial contribution to QOL research. The designation of Distinguished QOL Research of ISQOLS is determined by a simple majority of the Board of Directors (with at least 25% of the Directors voting). 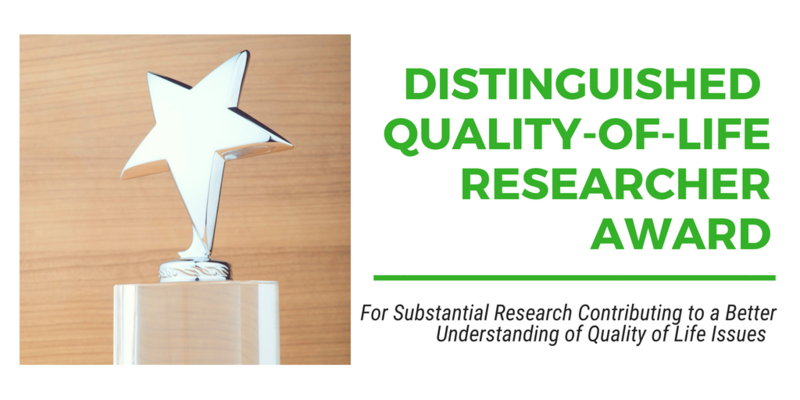 Nominations for Distinguished QOL Researchers are made through the Nominating Committee.